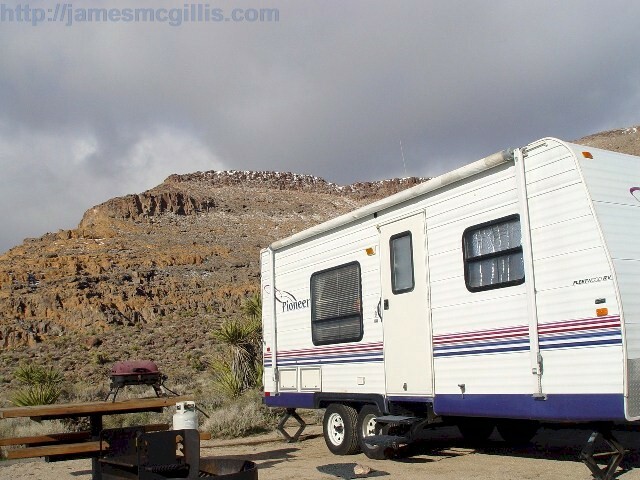 On February 9, 2009, I hooked up my rig and pulled to Quartzsite, AZ, where I would spend the night, prior to a midday appointment in Phoenix, Arizona the next day. Being two thirds of the way to Phoenix from Simi Valley, CA, makes it a good stopping point on Interstate 10. As always, I stayed at the bucolic, but efficient Holiday Palms RV Park. With a reservation guaranteed for late arrival, Quartzsite represented my safe harbor for the night. Although economic realities had diminished the snowbird RV-exodus to the Arizona desert this winter, the town was still alive. Row upon row of large RV’s lay unwanted and unloved at the temporary dealership lots set up for a crowd that never arrived. 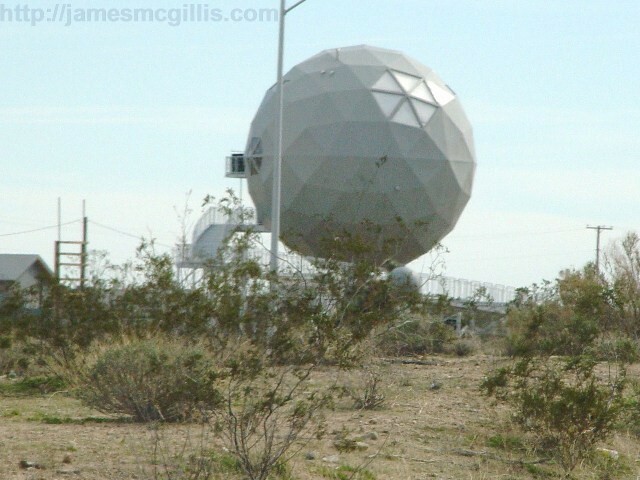 If Quartzsite were not on the interstate, it would have rolled up and blown away this winter. Still, a quiet night’s sleep in the desert is always a good thing and I enjoyed my brief time there. In the morning, I unhooked the utilities from my Pioneer travel trailer, raised the leveling jacks and drove toward Phoenix under a clear desert sky. The clear, cold air outside was in stark contrast to my experiences the day and evening before. As I left LA, that Monday morning, it was rainy and dark. Across the LA Basin and until I reached the top of the Banning Pass, it rained. Then, as if the rain had not yet earned its place in the low desert of California, not a sprinkle fell during my transit to Quartzsite. Once I was in Phoenix, I needed to get to Dr. John Robinson’s office, within Dr. Gino Tutera’s SottoPelle practice in Scottsdale. With help from my Magellan GPS, I arrived there rested and with time to take a few deep breaths before proceeding. During my tour of the Phoenix freeway system, I noticed large roadside pools of water where I had not seen water before. At the doctor’s office, water stood in pools throughout the landscaping and along the walkways. When I commented to the office manager, she indicated that a storm had released drenching rain in Phoenix overnight. It seems that the storm that I watched disappear in the low desert had rematerialized in Phoenix. Leaving Phoenix on Tuesday afternoon, I traveled northwest on US Highway 93. Other than one westward jog, where it shares a route with Interstate 40 to Kingman, Arizona, Highway 93 makes a beeline for Las Vegas, NV, 290 miles from Phoenix. Having departed the Valley of the Sun in the late afternoon, darkness soon overtook me. Although a long transit on a dark, desert highway might otherwise have been a problem, my prior stays at Burro Creek Campground told me that I had nothing to fear. When I arrived at Burro Creek after dark, it took a while to find the water-fill, but once my fresh water tank was half full; I found a campsite adjacent to Burro Creek, itself. Although the temperature fell towards freezing, I was safe and warm inside. My coach is equipped with a forced-air, propane heater and a propane refrigerator/freezer to keep my food fresh. Since I was dry camping, I used battery power for all other services. With a quiet night outside and the sound of rushing Burro Creek reaching my ears, I experienced an easy transition from wakefulness to sleep. Wednesday morning, I continued northwest on Highway 93. I intended to take I-40 West and arrive in Needles, CA that afternoon. Early in my day’s journey, Highway 93 climbed to higher elevations, displaying snowy mountains on either side of the long valley in which the highway lies. 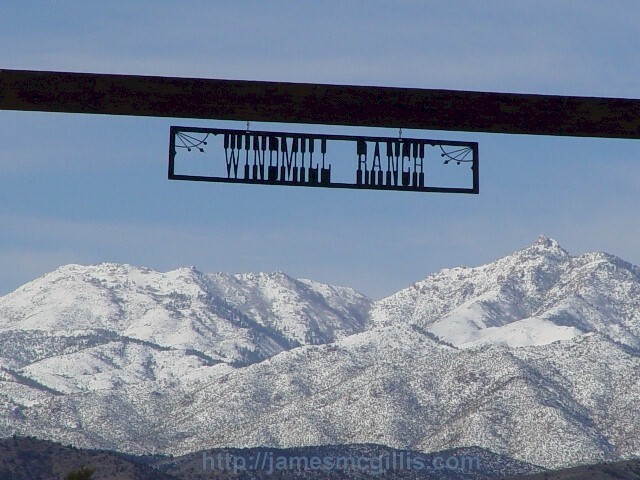 Stopping north of Wikieup, AZ, I discovered separate entrances to Windmill Ranch on either side of the highway. There, framed by the posts and crossbeam of the ranch entrance were mountains, fresh with winter snow. Since the highway climbs until reaching a summit near Kingman, AZ, I was interested to see if I might climb above the snowline that day. When I stopped for fuel at a travel center on I-40, west of Kingman, snow lay across the ground, although the roadway was dry. 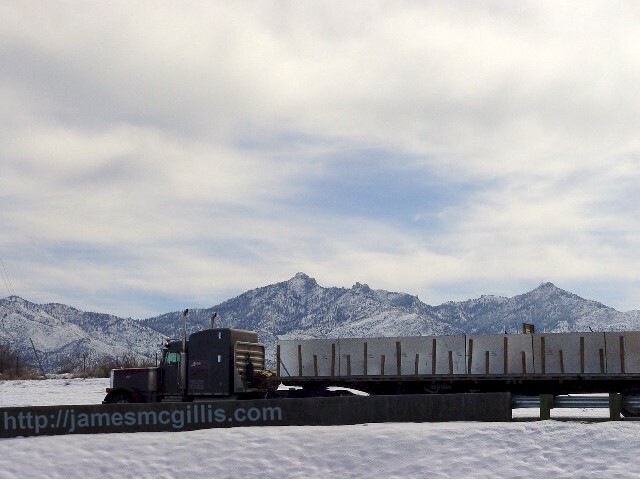 The snowy landscape, juxtaposed with the big rigs entering and leaving the truck stop provided ample contrast for my camera. Leaving the travel center, I descended the long grade towards Kingman. Along the way, a tour bus zoomed past me at seventy miles per hour. 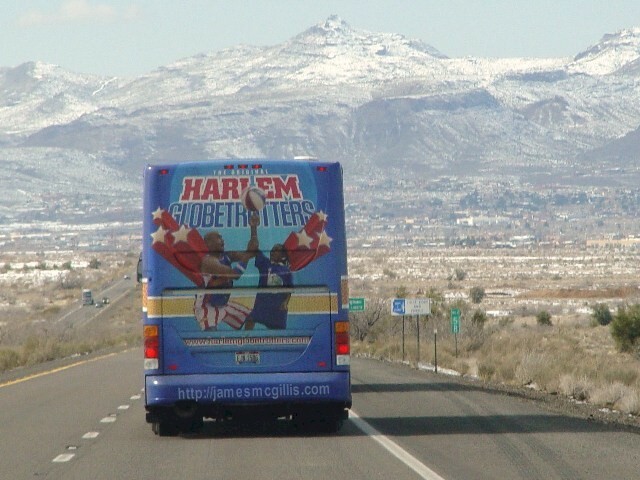 It was the tour bus for the Harlem Globetrotters, rocketing towards a Las Vegas exhibition match. At Kingman, the two highways diverged, with Highway 93 heading northwest towards Las Vegas. Interstate 40, which was my route, turned almost due south. With few roadside attractions on that sixty-five mile strip of arid desert, the trip to Needles became a moving meditation. Approaching Needles, the interstate turns west and finally north, avoiding mountain ranges and seeking a good river crossing along the way. 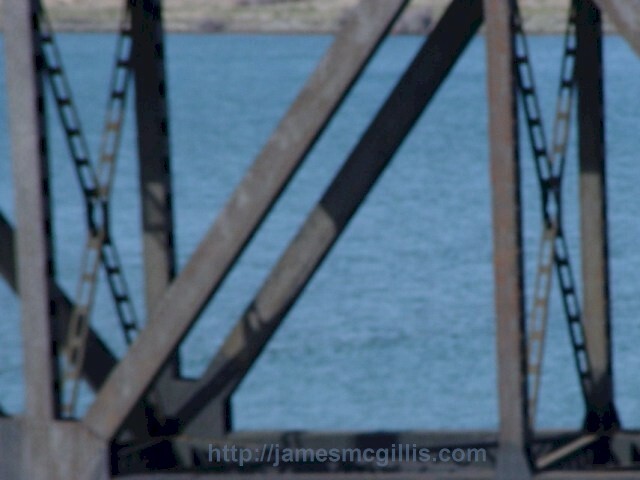 Near Needles, there are separate bridges across the Colorado River for motor vehicles, the Burlington Northern Santa Fe Railroad and natural gas transmission pipelines. A concentration of electrical transmission lines follows this route, as well. At that crossing, conduits for almost all of our Old Energy and transportation services converge. The reason for this convergence of services is the topography on either side of the Colorado River. 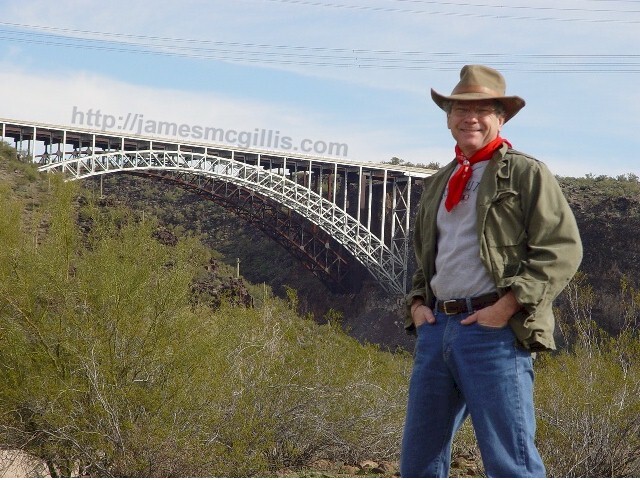 In 1890, the Santa Fe Railroad built the first bridge across the Colorado River, near Needles. Since railroad surveyors plan rail lines with minimum elevation changes, the steep and solid riverbanks at Needles helped the railroad reduce both construction and operating costs. When the railroad bridge was relocated just upstream in 1945, a new Route 66 bridge soon replaced the original railroad bridge. At that time, the 1916 highway bridge, known as Trails Arch Bridge, was decommissioned for vehicle traffic. Now used as an oil and gas pipeline bridge, the nearly one hundred year old structure looks like a contemporary industrial icon. When I-40 replaced Old-66 in the 1960s, a new highway bridge again spanned the river. Not ironically, the current I-40 bridge occupies the same space that the original railroad bridge did in 1890. 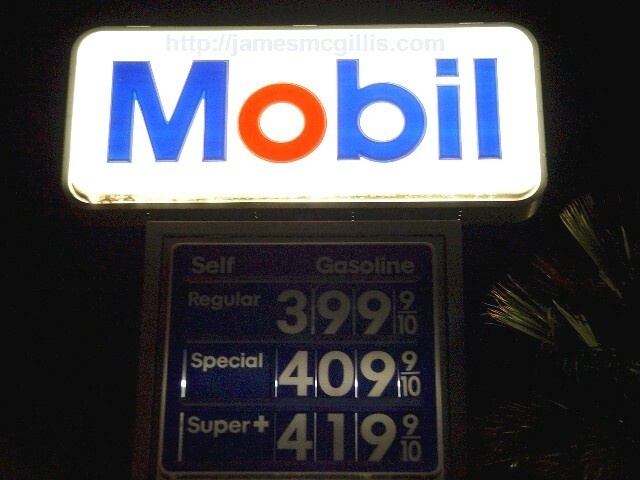 Once I arrived in Needles, I proceeded to the Desert View Mobil Station, where I had twice bought tires for my trailer. That second set of tires coincided with complete replacement of the brakes and active suspension linkages on my coach. With Desert View’s lifetime warrantee, I hoped to get my brakes fixed free. Not only had one brake stopped operating, loose parts clanged away inside the brake assembly. When I rolled in, the regular crew was there to greet me. Before nightfall, they had replaced the faulty brake assembly and diagnosed a separate electrical problem with my trailer brakes. Once the wheels were back on the trailer, I headed west, up the long grade on the California side of the river. My destination was the Hole in the Wall Campground at the Mojave National Preserve, campsite for my last night before returning to LA. Since the campground is twenty miles off the interstate, it takes a while to get there. As twilight turned to darkness, I arrived at the sparsely occupied campground. In the spring and fall, the campground is busy, with many of the thirty-five campsites occupied. At an elevation of 4400 feet, with remnants of snowfall still occupying shaded areas, it was a cold 34 degrees f. when I arrived. Unaware of how cold it might be at that elevation, I had thawed a steak earlier that day. Unwilling to let my steak go uncooked, I bundled up in a heavy jacket, gloves and muffler before I ventured outside to grill the meat. The next morning, it was cold in the coach. I checked the monitor panel and found the batteries in a critically low state of charge. I was too cold to go outside and set up my portable Honda generator, which could easily recharge the batteries. The only other power source was my Nissan Titan truck. Braving the elements, I sprinted outside and started the engine. Soon, electricity flowed from the alternator on the truck to the house batteries. That allowed me to restart the furnace and warm the coach. Well warmed, with a mug of hot coffee in my gloved hands, I then ventured out to set up and start the Honda generator. After turning off the truck engine, I retreated inside to make breakfast while the generator recharged the batteries. In less than an hour, the house batteries were full and operating properly. In a flash of late brilliance, I remembered that a quiet night at Burro Creek's 1,960 foot elevation was not like a deep-freeze night at 4400 feet. This was especially true after running all of my electrically powered services. Since electrical systems operate less efficiently at low temperatures, it is a lesson I will recall next time I winter camp in the California desert. On Thursday morning, as the Sun began to warm the air, I ventured out to take pictures of canyons, mesas and mountains shrouded in snow. 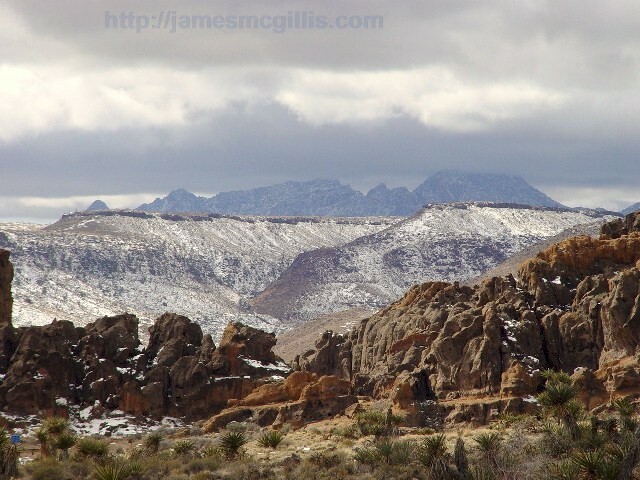 Snow typically lasts only a few days in this arid land. This being the third day since the winter storm, it was indeed a treat to photograph a vast, yet intimate bit of desert. I felt as if I were going back in time, to epochs long forgotten. 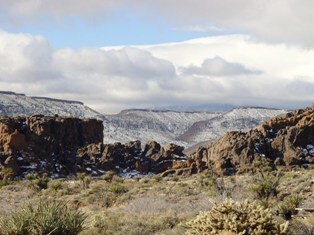 There, I viewed a winter scene, much as it looked before ancient climate changes created my spiritual home, the desert. As always, The Great Reflector stood guard over all. Returning from my New Earth, I departed the campground, stopping at the RV dump along the way. When I opened the valve to release the gray water from its holding tank, nothing happened. After about fifteen seconds, the gray water, warmed by my recent hot shower, released and dumped down the hose. Next, I opened the black water valve. It dumped immediately. Luckily, the previous owner of my coach had installed a heater on the black water pipe. That heater had been the unseen energy thief, draining my batteries overnight. That thief was now a godsend. If that pipe remained frozen, I would face a long drive home with a full holding tank, which meant both a heavy and noxious issue to deal with later. Travel trailer manufacturers design their coaches for spring, summer and fall camping, not for freezing weather, parked far away from a reliable electrical supply. By stretching my own limits a bit, I realized that winter camping in the desert is gloriously fun, if different from warm weather camping. Still, the rare opportunity to travel almost 1000 miles and camp in three different desert sub-climates was, for me, yet another trip of a lifetime.